Some want to make superior sandwiches. Some want to make the world a better place. We want to do both! 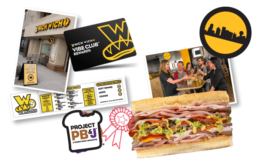 A lot has happened since Which Wich opened its first location in 2003 as a small, single restaurant in Dallas, TX. 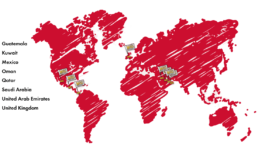 We have grown our family to hundreds of franchise restaurants around the world. The digital revolution leads to the rollout of online and mobile ordering. Exciting menu innovations are constantly brewing in our R&D kitchen. But, the really exciting part is that we’re just getting started! Wich opens for business in Downtown Dallas, TX! 5. January 2014, Project PB&J is launched to help make the world a better place, one PB&J at a time. 7. April 2017, The Favorites Menu, a triumph in superior sandwich offerings is introduced! 2. February 2005, first franchised Which Wich restaurant opens for business! 4. March 2013, Which Wich goes global with restaurants opening in Dubai, Mexico and Panama. 6. January 2015, Which Wich breaks Guinness Book of World Record for most sandwiches made in an hour! 1. December 2003, first Which Wich opens for business in Downtown Dallas, TX! 3. January 2010, restaurant number 100 opens! 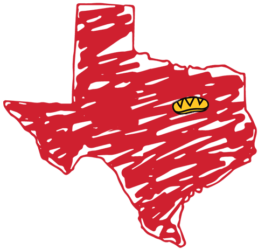 Dallas, Texas is home to our corporate office, Which Wich Support Center. We are situated in the heart of downtown Dallas surrounded by historic hotels, eclectic dining, world-class museums and fine arts, and convenient public transportation systems. The DFW Metroplex is home to the Dallas Cowboys, Texas Rangers, Dallas Mavericks, Dallas Stars, and FC Dallas. It is easy to fly anywhere in the country from the DFW International Airport or Love Field; both just minutes from downtown Dallas. Dallas remains an affordable and comfortable community to raise a family or for the young professional just starting out in their career. There’s no shortage of events and entertainment for all interests. We love it here and know you will too!